The inspiration behind the Army Camo ultimate performance socks is the brave men and women that risk their lives daily, those who have served our country, and those who have paid the ultimate sacrifice protecting our freedoms…Thank you! Lola Gams ultimate performance socks are made in the USA and are engineered with special technology to wick moisture and enhance drying. Made with a blend of core-spun COOLMAX, nylon, and LYCRA, Lola Gams help you stay dry and energized throughout your toughest workouts. Lola Gams ultimate performance socks will help your legs and feet feel energized and comfortable so you can not only feel your best, but also look awesome! 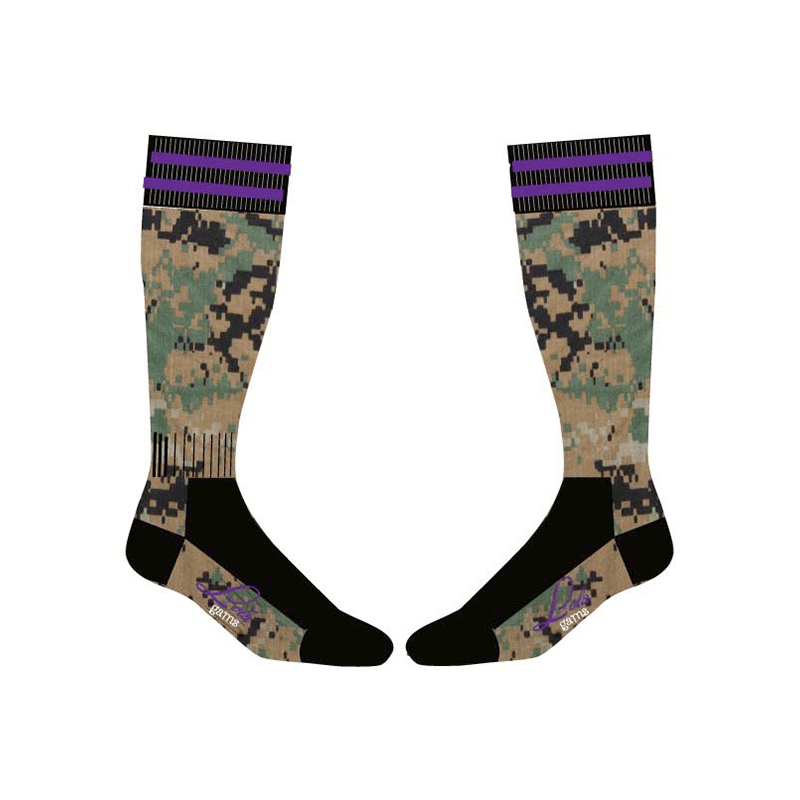 A portion of the proceeds from the sale of the Army Camo socks will benefit Wounded Warrior Project of Collier County.